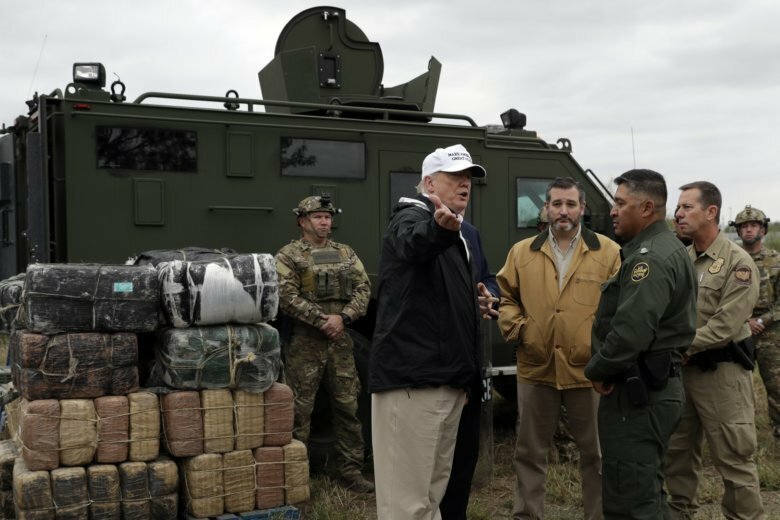 WASHINGTON (AP) — The former head of the Federal Emergency Management Agency said Thursday that what’s happening on the U.S. southern border is no emergency. Craig Fugate, who ran the national disaster agency for nearly eight years under President Barack Obama and was head of Florida’s disaster agency under a Republican governor, said the push of refugees seeking asylum on the border with Mexico is not a national emergency. President Donald Trump has called it a crisis and is weighing a national emergency declaration to bypass a reluctant Congress and fund his long-promised border wall. It is the issue that has led to the extended partial government shutdown. The Obama administration appointed Fugate, who ran recovery operations to numerous hurricanes and other disasters, to manage the issue of separated migrant children. “And that was a crisis,” Fugate said in a phone interview with The Associated Press. It was an issue of mass care, he said. More terrorists come into the United States through the northern border than the southern, said Fugate, who was part of the Department of Homeland Security. “I’ve yet to see anything physically stop illegal immigration,” Fugate said. He said it would be cheaper and more effective to spend money to reduce crime and poverty in areas the refugees are fleeing from to stop illegal immigration that way. Fugate said he worries that it continues a trend of presidents being more powerful than the legislative and judicial branches, something he traces back to Abraham Lincoln and, more recently, Franklin Roosevelt. The Supreme Court stopped President Harry Truman from using national emergency powers to nationalize the steel industry, but Fugate said he worries that won’t happen if Trump declares a national emergency to bypass Congress. This story has been corrected to show that Fugate was appointed by the Obama administration, not the Trump administration, to manage the issue of separated migrant children.